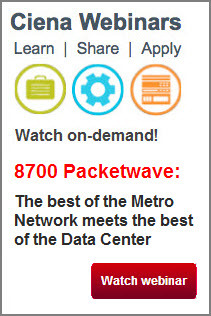 Ciena has taken direct aim at the metro Ethernet market with today’s unveiling of the 8700 Packetwave Platform, a spunky new member of the Ciena family that keenly addresses the increasingly urgent service provider requirements for metro Ethernet aggregation and switching related to data center interconnect. With a focus on coupling high-density 10 Gigabit Ethernet (10GbE) and 100GbE aggregation and switching with our industry-renowned 100G WaveLogic coherent optics, the 8700 marries the best of the metro network with the best of data center networking into a single, powerful package. 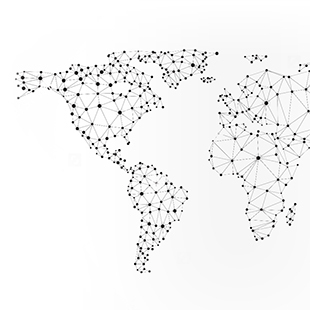 Ciena has taken direct aim at the metro Ethernet market with today’s unveiling of the 8700 Packetwave Platform, a spunky new member of the Ciena family that keenly addresses the increasingly urgent service provider requirements for metro Ethernet aggregation and switching related to data center interconnect. With a focus on coupling high-density 10 Gigabit Ethernet (10GbE) and 100GbE aggregation and switching with our industry-renowned 100G WaveLogic coherent optics, the 8700 marries the best of the metro network with the best of data center networking into a single, powerful package with two chassis versions available. The 8700 isn’t a bloated God Box. It’s a lean, purpose-built programmable Ethernet over DWDM platform optimized for 10GbE and 100GbE service aggregation and switching in metro networks. And because of this laser focus, as well as leveraging the latest technology advancements, the 8700 can boast performance stats that are off the charts. With significant improvements in energy efficiency, port density, and footprint, the 8700 delivers twice the density of leading competitive platforms with half the power and space. The 8700 simplifies the architecture and management of increasingly complex metro networks by converging multiple network functions into a single platform. 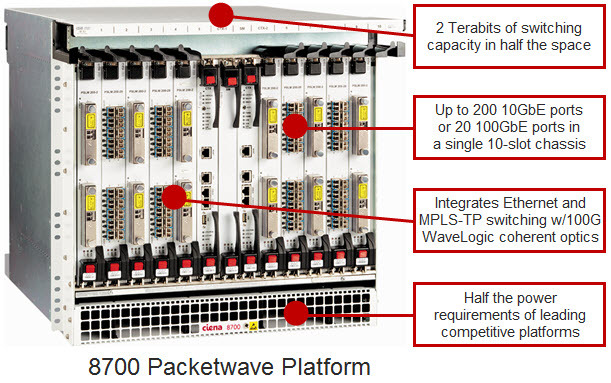 The 8700 has the ability to provide seamless metro aggregation and switching, while leveraging the full feature set and associated business benefits of Ciena’s WaveLogic Photonics. It is not a matter of if on-demand network services in the metro network will take off, but rather when. The 8700 is built with this future of Network-as-a-Service (NaaS) and on-demand services in mind, integrating Ciena’s intelligent software features such as our Service Aware Operating System (SAOS) for advanced SLA management, OneControl unified management, and Zero-Touch Provisioning to enable dynamic Ethernet service capabilities across metro networks. 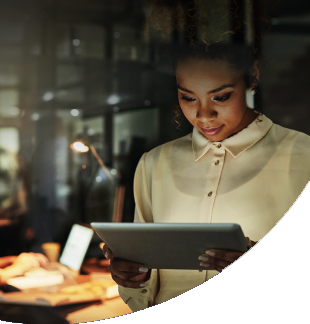 In addition, Ciena’s 8700 Packetwave platform is built to operate with our V-WAN software and our open SDN controller now in development, ensuring the 8700 can operate in a truly open, multi-vendor environment. Ciena has married the best of the metro network with the best of the data center, and our new 8700 Packetwave Platform is the result. In fact, the 8700 represents the first in what we believe will be a new class of networking product -- purpose-built and optimized to handle the new demands of today’s cloud-connected world. We couldn’t be prouder, and we have a feeling you’re going to want the 8700 in your family too. 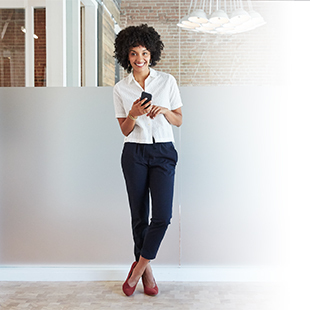 For more on Ciena’s new 8700 Packetwave Platform, watch the on-demand webinar, or check out the below related resources.